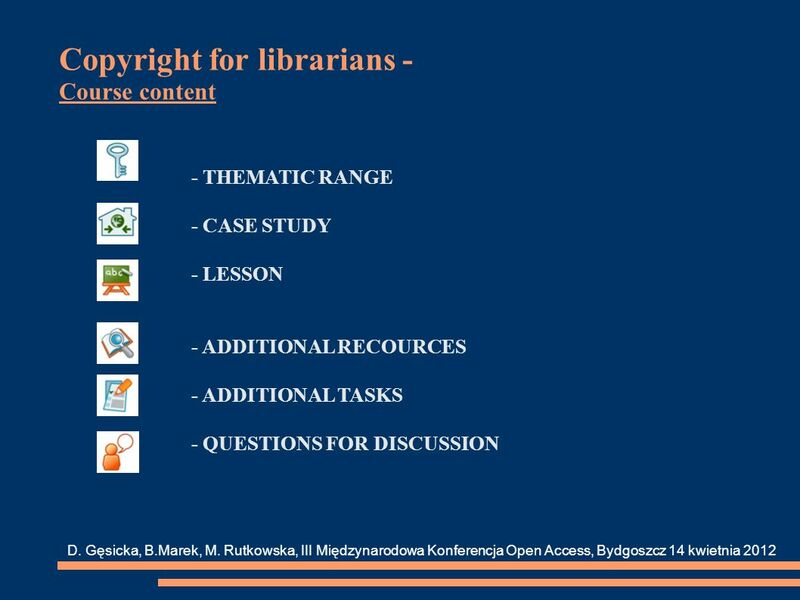 7 The project Copyrigt for librarians is available under a Creative Commons license Attribution (CC BY). 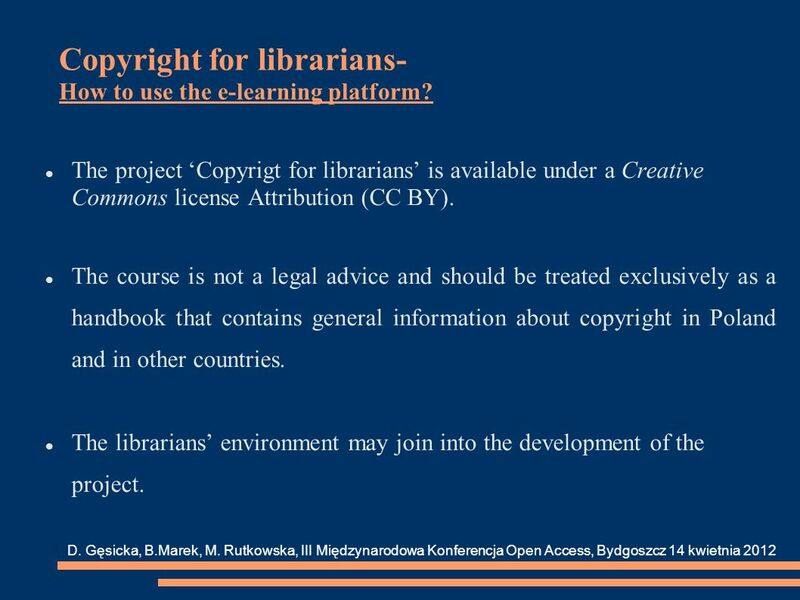 The course is not a legal advice and should be treated exclusively as a handbook that contains general information about copyright in Poland and in other countries. 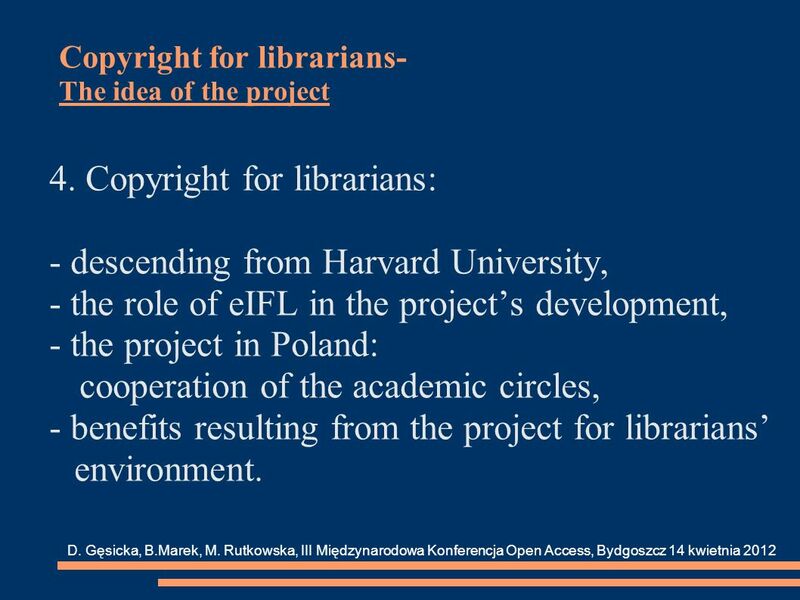 The librarians environment may join into the development of the project. 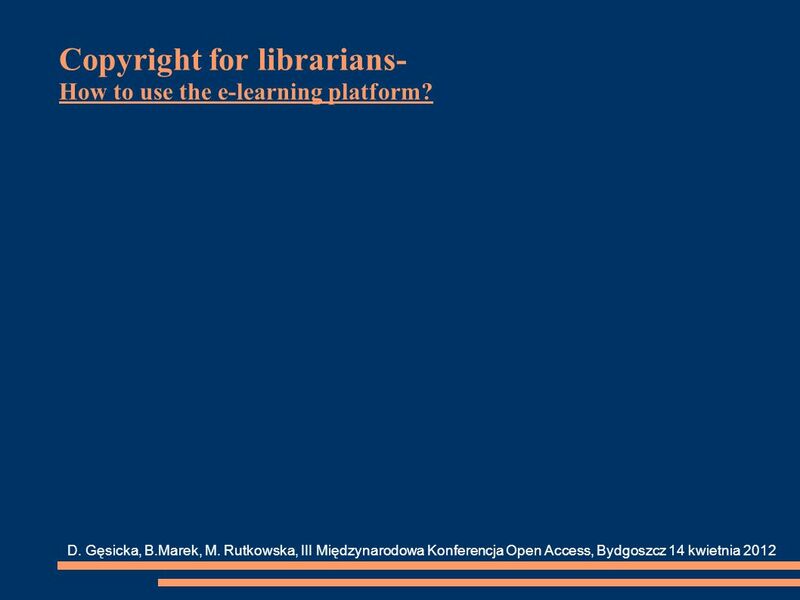 D. Gęsicka, B.Marek, M. Rutkowska, III Międzynarodowa Konferencja Open Access, Bydgoszcz 14 kwietnia 2012 Copyright for librarians- How to use the e-learning platform? 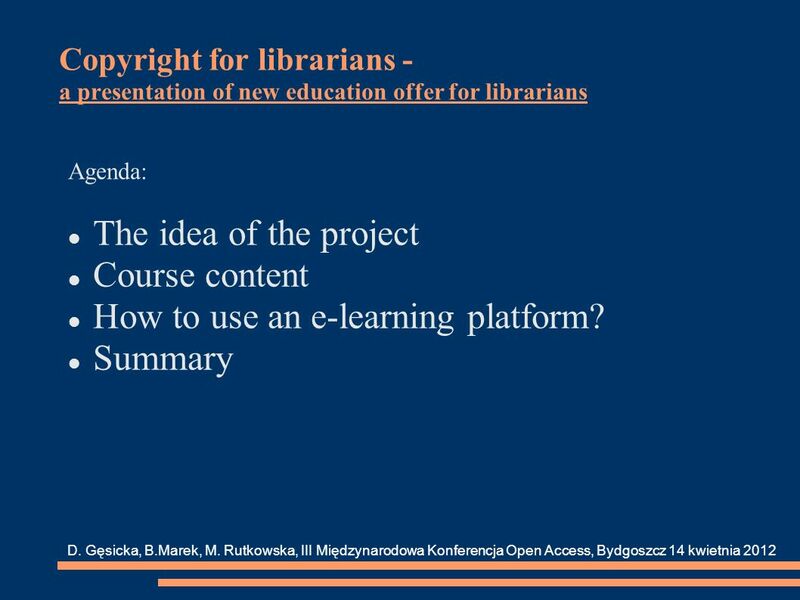 Pobierz ppt "Copyright for librarians - a presentation of new education offer for librarians Agenda: The idea of the project Course content How to use an e-learning." Session 6 Case Study – Elektrim SA Saturday, January 15, 2011 SAL Wroclaw Lectures on Corporate Governance Geoffrey Mazullo Principal Emerging Markets. Primary School in Kaźmierz Szkoła Podstawowa imienia Marii Dąbrowskiej w Kaźmierzu w Kaźmierzu. Struktura przedsiębiorstwa SAP Best Practices. ©2011 SAP AG. All rights reserved.2 Obszar rachunku kosztów 1000 Dane te są tworzone w BB 101 Obszar wyników. Radomsko. Competitions implemented under the project "Creativity and innovation in environmental design" - Comenius School Partnerships Programme are.